Today, 20 non-governmental organizations have announced the launch of the Coalition for a Euro-Atlantic Georgia. The Coalition’s mission is to contribute to the building of a free and independent state, where human rights are duly protected and institutions function efficiently. 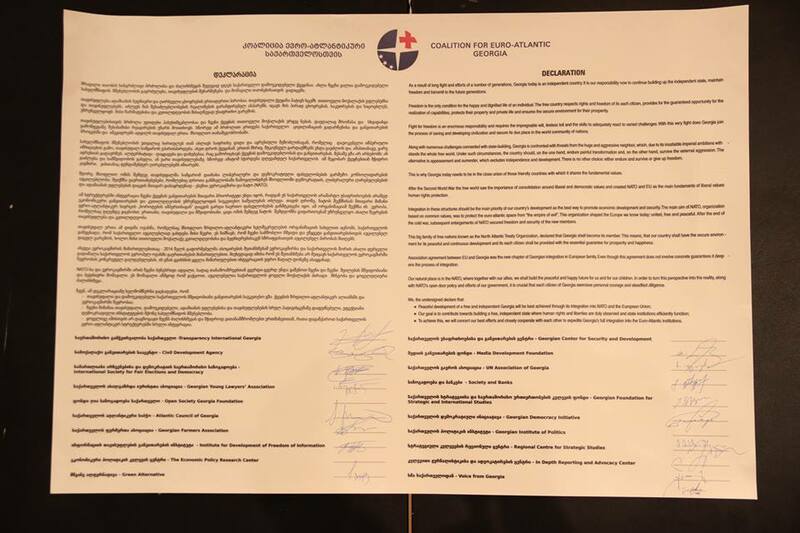 To achieve this, civil society organizations said they will concert their best efforts and closely cooperate with each other to expedite Georgia’s full integration into Euro-Atlantic institutions. 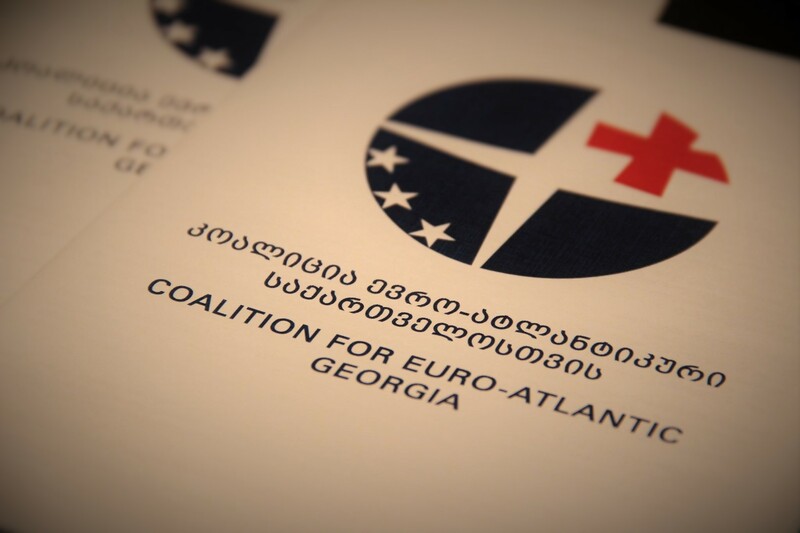 Furthermore, Coalition representatives believe consolidating active civil society to facilitate Georgia’s Euro-Atlantic integration is essential and plan to carry out various activities to support this goal. The founding members of the Coalition signed a joint declaration today. Representatives of the government, political parties, civil society organizations and diplomatic corps attended the launch event. The founding members of the Coalition stated that integration with NATO and the EU must be the main priority for Georgia, as it would ensure not only its security but also furnish Georgia with the best opportunities for economic development and welfare.